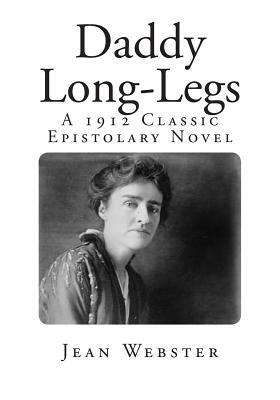 Daddy-Long-Legs by Jean Webster Daddy Long-Legs is a 1912 epistolary novel by the American writer Jean Webster. It follows the protagonist, a young girl named Jerusha "Judy" Abbott, through her college years. She writes the letters to her benefactor, a rich man whom she has never seen. Jerusha Abbott was brought up at the John Grier Home, an old-fashioned orphanage. The children were wholly dependent on charity and had to wear other people's cast-off clothes. Jerusha's unusual first name was selected by the matron off a gravestone (she hates it and uses "Judy" instead), while her surname was selected out of the phone book. At the age of 15, she has finished her education and is at loose ends, still working in the dormitories at the institution where she was brought up. One day, after the asylum's trustees have made their monthly visit, Judy is informed by the asylum's dour matron that one of the trustees has offered to pay her way through college. He has spoken to her former teachers and thinks she has potential to become an excellent writer. He will pay her tuition and also give her a generous monthly allowance. Judy must write him a monthly letter, because he believes that letter-writing is important to the development of a writer. However, she will never know his identity; she must address the letters to Mr. John Smith, and he will never reply.